And then more hot chocolate and cycling home with very very cold finger tips. No more achey winging legs, the contracting out yesterday was a good idea. 5.1 miles cycled, 3.2 miles run. 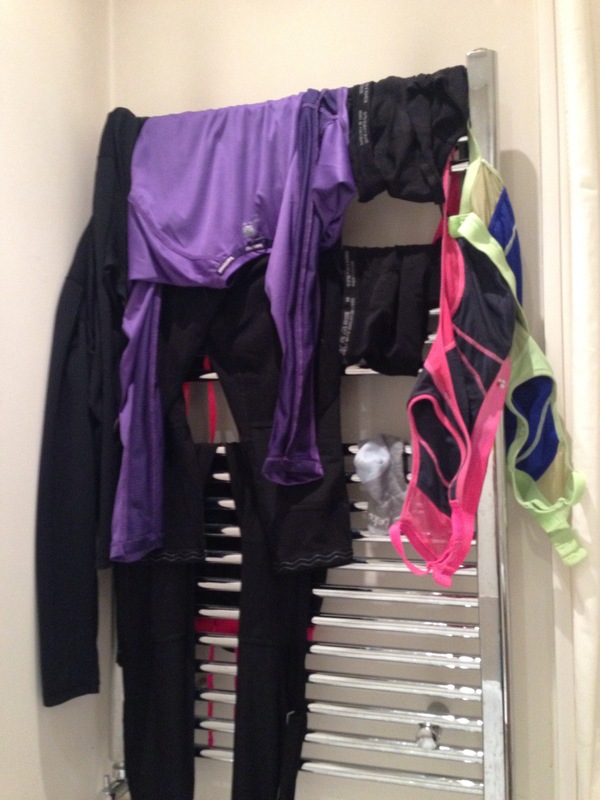 Don’t you just love drying lycra? Your radiator looks just like mine (except I have different coloured bras).